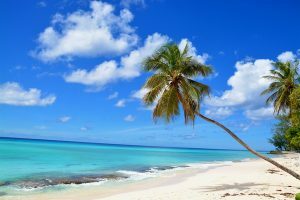 Wherever you go in Barbados, there is a beach waiting with golden sands, turquoise waters and tranquil bays. 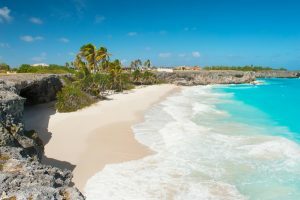 The beaches of Barbados are varied in which the north coast is considered to be more rugged, with lots of little coves and spectacular views, and the east is similarly choppy, which is great for watersports and surfing. On the other hand, the south and west coasts are much calmer and ideal for winding down and dipping your toes in the ocean. 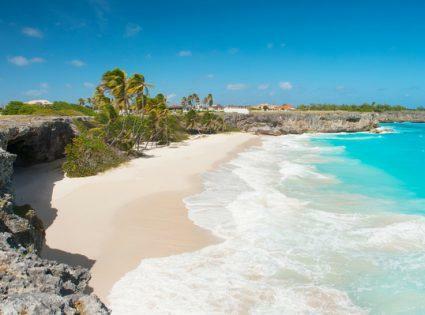 Here we give you a rundown of the most popular and famous beaches in Barbados. Mullins Beach is located on the West Coast of the island in the parish of St Peter. Mullins is one of the most popular beaches on the West Coast with a picturesque bay and calm waters. It’s a famous beach for people-watching and sunbathing. Popular both with tourists and locals, Mullins is well-equipped with a bar and watersports rentals. Go there later in the day and enjoy the spectacular sunset. 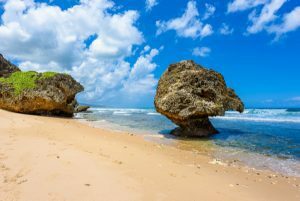 Bathsheba is located on the East Coast of the island and is an entirely different experience. If you’re searching for hills, forests, and untouched natural scenery, then this is the place for you. 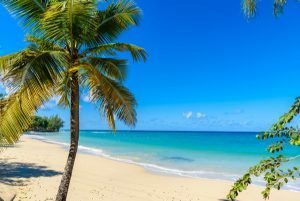 Bathsheba is also well known by both local, regional and international surfers who gather there annually to take part in Barbados’ Soup Bowl surfer’s competition. It is often referred to as one of the best surfing locations due to the aggressive Atlantic waves that are always present there. 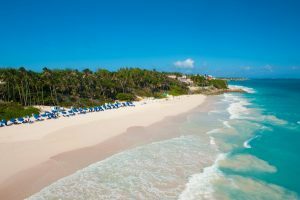 Rockley Beach, (also known as Accra Beach) is found in the south of Barbados and is a favorite for sunbathers and swimmers. There are also some more lively waves to be seen if you want to do a bit of boogie boarding or light surfing, but they’re not too choppy for beginners. This beach is popular with families, and the sand is a beautiful soft white. It sits in a perfect arch around the small bay. Perhaps the best thing about this place is that Bridgetown is just a 10-minute drive away. Bottom Bay is located on the southeast coast of Barbados. Surrounded by jagged cliffs and coconut palm trees, a trip to Bottom Bay will have you feeling like you’re on a real deserted island. You might even spot a whale or snapping turtle while you’re there! Just be warned though, the waters here are quite rough, the waves are strong, so take care if you choose to swim. Crane Beach has been referred to as one of the top beaches of the world. Found on the southeast coast of the island, Crane Beach has gorgeous pinkish sands and gentle waves, perfect for water sports. The beach can also be reached within a six-minute drive from the Grantley Adams International Airport. Some of the locals and visitors carry on the tradition of jumping from the famous Crane cliff and swimming back to shore.